Troy Brouwer answered the Sabres’ late second period tally with one of his own in the third, the Capitals’ only goal of the game. “I thought that was the best game I’ve seen (Troy) Brouwer play,” coach Adam Oates told reporters after the game. In addition to his goal, Brouwer had five shots on goal, and went 83 percent in the dot, winning 5 of 6 faceoffs. 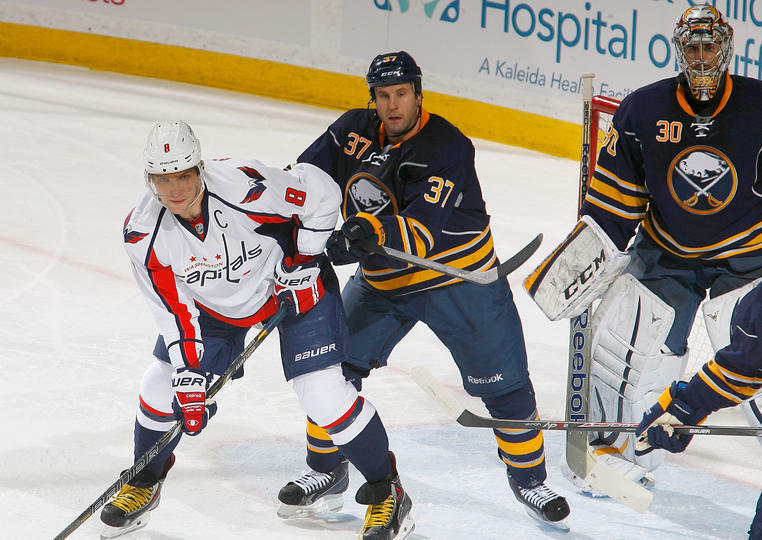 Alex Ovechkin had a team-high 12 shots on goal, but couldn’t score on Miller, and failed to earn a point. Philipp Grubauer made his eighth start in the team’s last nine games. While he was solid, and didn’t face a whole lot of traffic, it might be time to give Braden Holtby a few starts. Yes, he’s had a rough season so far, but out-of-this-world goaltending will only go so far when there are glaring defensive issues in front of the goaltender. Whatever it is that Holtby is going through, he’s not going to figure it out while sitting on the bench in favor of the backup’s backup, no matter how talented he is. Grubauer is unquestionably talented, but Holtby is the Capitals’ starting goalie, and should be allowed to work out his growing pains in the crease.